Ok, i had a little time this evening with the baby and lovely wife off in the other room having some reading time. 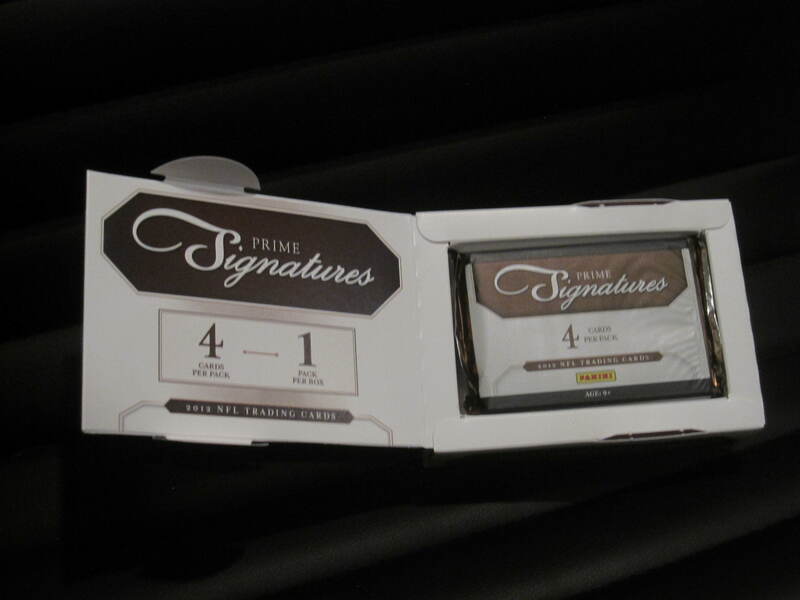 So I thought I would open one of the Panini boxes I received last night…and I decide to open…the single pack Prime Signatures Box. I have purchased two of these boxes this year in the faint hopes of pulling an RGIII to no avail, BUT I am not a quitter and purchased one more box from the Panini online store. The box was purchased last weekend when they had the 25% sale, so i managed to get a really good deal on the box…and i couldn’t pass up a good deal and an opportunity to pull a guaranteed autograph. The box is simply one pack with 4 cards in each pack…so it’s always a gamble as to what you will be pulling from the box. My other breaks have been fairly uneventful and something i was definitely bracing for with this box. Although there were thoughts of better pulls since it was from the company that manufactures the cards. So much for the long winded intro, here are the cards I pulled! 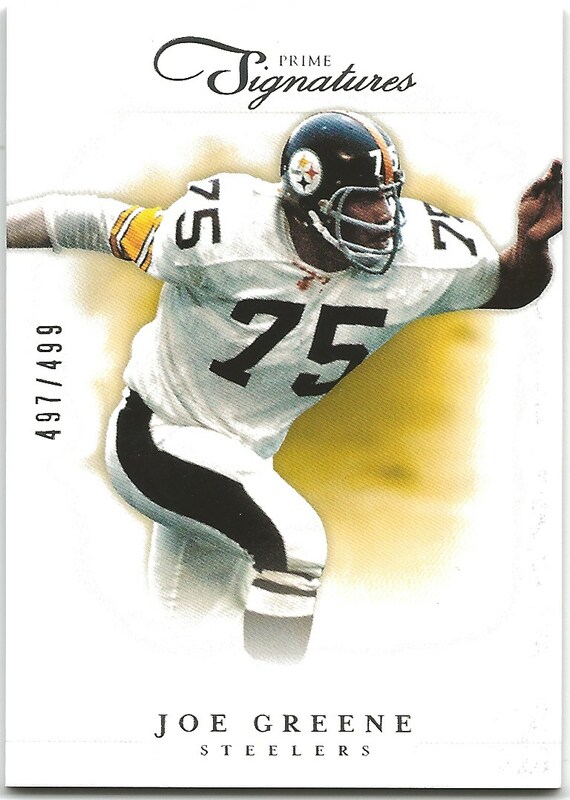 Each photograph on the cards are very sharp, with the exception of the Mean Joe Greene card, but that’s due in part to older technology and repurposing an older photo. That’s not a big issue. I’m sure there are Steeler and Mean Joe collectors out there that are excited he is in this set. One thing i like about the photographs is the vignetting around the player to focus on one player, one player in action. The cropping on the Mean Joe Green card appears a little off though..bye bye arms! With 4 cards and 1 hit…it’s literally hit or miss. Pulling a three autograph card is pretty cool, in fact I have never pulled such an auto card before, so this is a first for me…so embarrassing…As a Redskins fan, I tend to only pay attention to Redskin players and have no idea who these guys are. I have heard about Chris Rainey and apparently so have the Pittsburgh Police Department. I am also aware of David DeCastro…but a Guard isn’t always an exciting hit…not something you want to pull. The other guy Marquis Maze is someone I know nothing about. Maybe a Steelers fan out there has a clue for me? Overall, i am pretty happy with the box. Although i didn’t pull any Redskins, i can’t complain about my 3 auto hit and the other 3 cards are/were solid football players. This is definitely a product i would buy next season…and if I can find another good deal on a box, i just may have to see what’s inside. Hope you guys enjoyed my first box review. I have a few more to go right now and have some cards on their way very soon…could get really busy in the next few weeks with all the new baseball releases and the tail end of the football releases coming out. If there are any Pittsburgh Steeler fans out there, send me an email and let me know if you have any interest in the autographed card or the Mean Joe Green…I’m looking at you Steven Jackson and LeSean McCoy fans too! -HTTR! Just got home from work after another late night at the office, and i see two large boxes by the door…what could it be? My Panini order has arrived! Nice! Since i’m still on a deadline and dealing with a sick wife and child it may take a few days before I can enjoy what’s inside these beautiful *small expensive boxes. I will be sure to post the results here along with my review of each product. 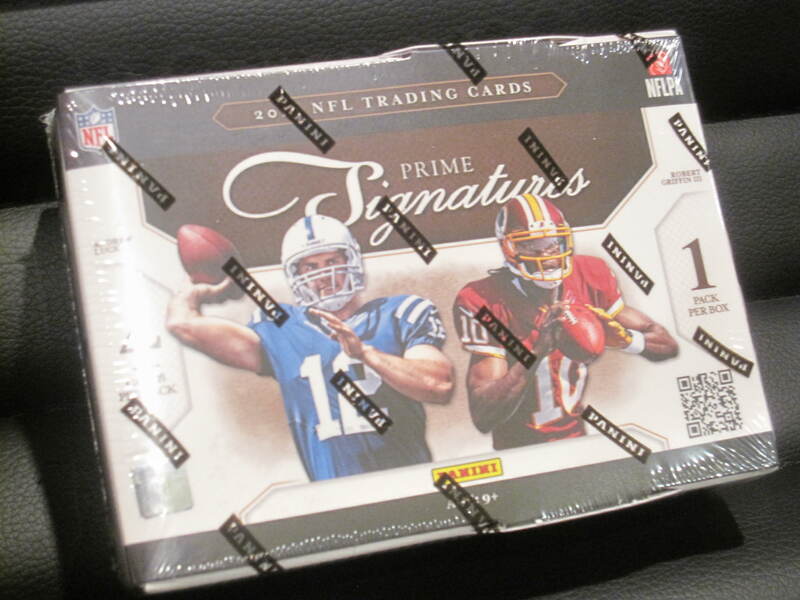 Here’s hoping i can pull an RGIII auto…or at the very least some nice Redskin hits. This new blog was an attempt at therapy for me and a way to connect better with my favorite hobby. Unfortunately, life always seems to get in the way…as it does and doing one post a week has become difficult. This is by no means me waving the surrender flag, but more of an apology to the blog itself for my neglect. 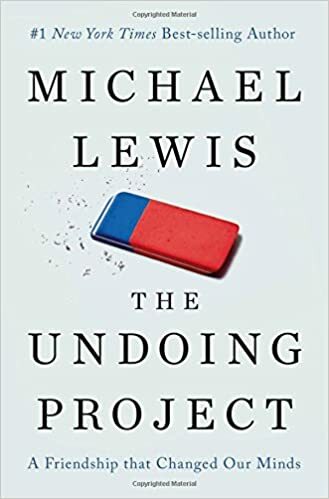 With that in mind i am going to attempt to up the ante and do two blog posts a week, one on Wednesday and one on Sunday…we will see how that all works out. Another task that i have thoroughly neglected with my collection is the purging i promised myself and my wife. I’ve gotten to the point of putting the cards to be sold into a nice empty white box, which is now a grey dusty filled box. 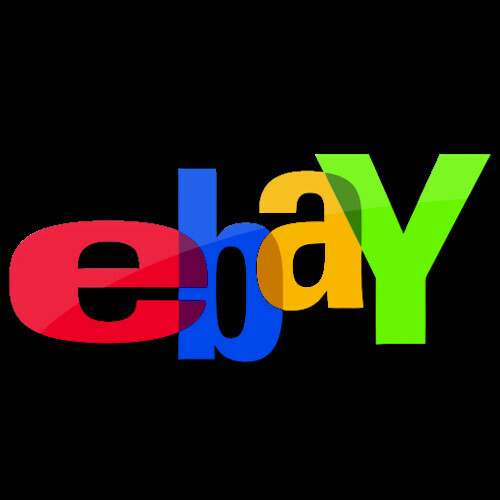 The biggest problem is the time involved with this task along as well as the difficulty in dealing with the fine folks on ebay. The scanning and describing and mailing aspect seems insurmountable at times, especially with a 4 month old. A new short term goal is to get a few dozen posts before February…it would be nice to have some loot back in my paypal account as well…to buy more cardboard. The last item of note to get off my chest is this Washington Redskins shoebox that needs some serious sorting and organizing. I would say that i’ve done a wonderful job at purchasing cards through checkoutmycards.com, the two card shows in town and my favorite local card shop, The Sports Room. But i’ve done a terrible job at organizing them. I know for a FACT that i purchased two Ryan Kerrigan autographs from COMC at about $8 each. Not the worst thing in the world, but that money could have gone to another card i don’t already have. I could also use this time to figure out what RGIII cards I have and which ones i can afford to purchase. So, i’m hoping to get this going on the next few weeknights around the Riddle house here…work be damned! Look for more info on these short term goals…and don’t be afraid to keep me on my toes. -HTTR! The Hogettes are no more, and that makes me sad. As a kid growing up in Texas, one of the reasons i became a Washington Redskins fan was because of the Hogettes. I couldn’t really figure out what hogs had to do with Native Americans, until i realized they were a support group for the impenetrable offensive line that Joe Gibbs and Joe Bugel built in the early 80’s. Seeing these guys in the stands each week rocking the ugly dresses, hats and of course the pig noses was awesome. I never made it out to RFK, but i can only imagine in the glory days that they were the leaders of many chants and screaming from the Pig Pen. Through the years they have done numerous fundraiser for children’s charities and helping out within the DC and DMV community. Here is some other great sites that further explain their history and presence as teh Hogettes. Their presence will no doubt be missed in the stands…at least we still have Chief Zee, although the next generation is coming up! I’m a little concerned about this new RG3 Girl or woman or whatever…-HTTR! It’s a sad day in our house as the Redskins season has come to a sad ending…At the end of the day, the big difference was an unhealthy RG3. He lead the team all season and did everything he could the last 7 weeks, but it just was not enough. It’s always tough to lose a game when your leader is injured as you are filled with the what ifs…Although the season ended in a manner that I am not happy about, the 20123 season was filled with hope and a very bright future. There were lots of ups and downs and the a ton of players got some playing time due to some major injuries. I am very excited to see what 2013 has to offer. The Redskins will have all the guys back and healthy, hopefully including Robert Griffin III…pending the MRI tomorrow morning. One of my favorite Redskins, Brian Orakpo, was injured in the game agains the Rams early on which led to plenty of playing time for Rob Jackson and Perry Riley. Here’s hoping Rak can get his shoulder back to full strength in the off season and come back strong in September. The card below was part of a blaster box I picked up at Target last week and decided to open before today’s game. 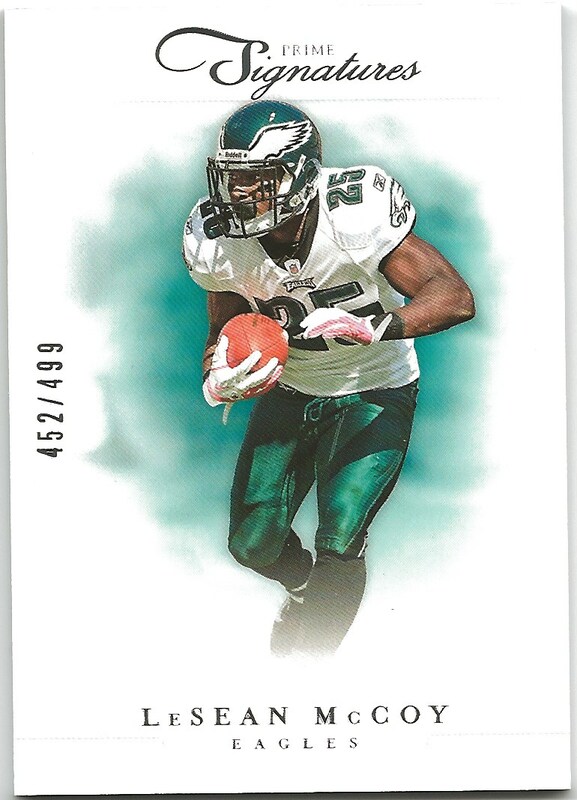 It is one of my favorite cards or Rak’s…although this photo is very similar to his Topps issued card. I’ve always loved his passion for the game and this card definitely captures that. Roy Helu Jr. is another guy that missed the year due to injury with an achilles injury. Assuming good health, he will be a great compliment to Alfred ‘the butcher’ Morris next year. You can never have enough running backs and his speed will be a nice addition to the Redskins running game. In Pierre Garcon’s first season, he had some huge game changing plays and showed off his #1 Receiver ability. Although he had to deal with injury allyear he still managed to step up down the stretch run and play big during the 7 game winning streak. Here’s hoping he too can get healthy and come back full strength next season to dominate for 16 games. 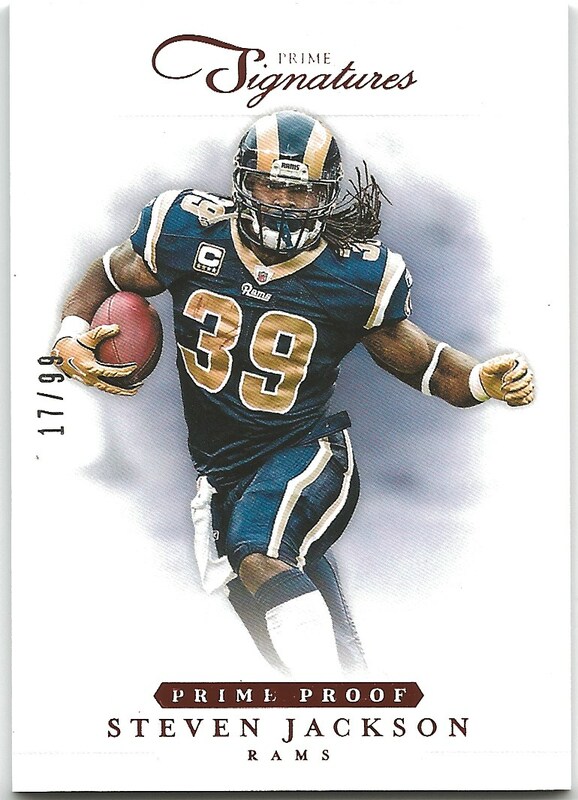 The Garcon card below is one of the reasons i don’t care for the Gridiron design by Panini. I have seen a ton of great hits online from this product, but their base cards tend to be cluttered with too much ‘stuff’ in the background. If i didn’t know any better, i would have thought this was a Redskins team card rather than a Garcon card. You can clearly see Fred Davis and Adam Gettis on the card celebrating with Petite Waiter (see Tony Kornheiser for reference) would be nice to see him isolated on his own card. The last guy that i am curious about is Kirk Cousins. Right now, there is no telling what to expect from RGIII’s injury and if he will miss any games next year. If he needs any type of surgery, i hope he consults Adrian Peterson prior to getting cut on or rehabbing. Next season will also be his second year in the system and he appears to be a quick learner and smart QB…exactly what you need for a backup, especially if they have to start a few games. The two cards below have been sitting around my collection for a couple of weeks now. I managed to pick up his Score autograph the Saturday before the Ravens game for a nice price. His cards have since gone up in value and anticipation that he will get a chance one day. Although i am filled with dissapointment right now, all Redskins fans should look back on this season and be proud and excited about the future…there is a lot to build on and a lot that needs to be addressed, but the foundation is definitely there. As always Hail to the Redskins! With the season over, future posts will be directed towards cards that i purchase and my opinions on their design, content and price. Baseball cards are coming out soon too, so that should be fun to explore and review. -HTTR! Leave a comment Posted in Autograph, Brian Orakpo, Kirk Cousins, Pierre Garcon, Roy Helu, Uncategorized Tagged Autograph, Brian Orakpo, Kirk Cousins, Pierre Garcon, Roy Helu Jr. It looks like everyone is posting goals for their hobby interests for the new year, so i guess i should jump on board and post something of my own. 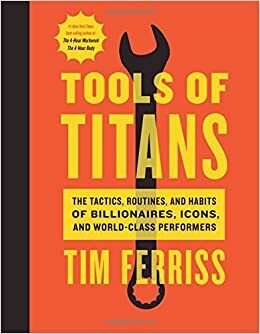 I don’t normally like to set goals, but i also don’t seem to accomplish too much so maybe a few goals will be good for me…and motivating…with that said, here are five thoughts for my collection this coming year. First and foremost, i really need to get organized and finish getting my checklists in order. This is something I have been working on for years and always start great, but never finish. I have managed to get the Redskins team checklist set for Topps cards, but the player collections are really lagging behind. Guess i should get some excel time in soon. 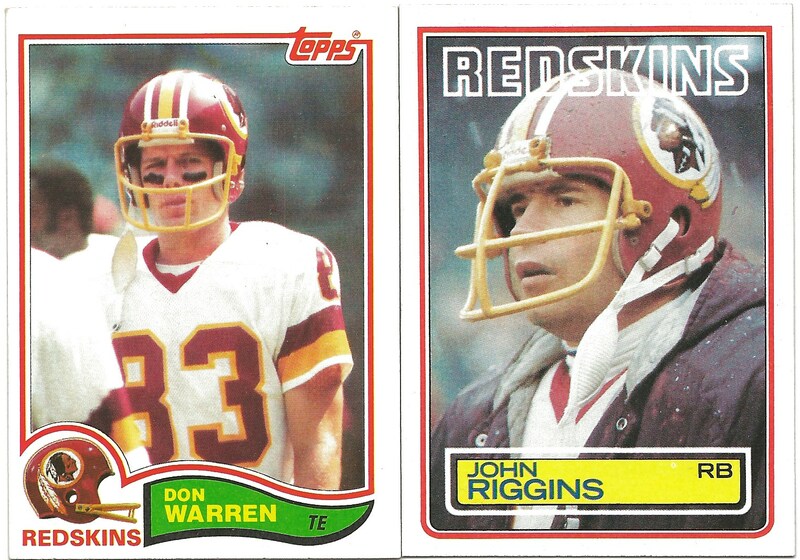 As a follow up to the item above, i would like to complete the Redskin Topps team sets for the 70’s and 80’s. This is mostly complete except for the 1970-1973 sets and some random cards for most other years. Once the season is over i can start posting completed pages of Redskins joy! There is a great shop in NE Portland where i could probably knock out the missing cards on one Saturday. For the past 3 years, i have been scooping up Chris Cooley, Clinton Portis and Santana Moss cards with no real recollection of what i have and what i want. This is the year i get these guys organized and stored properly. Why these three players you may ask? Well, these three guys reflect some great and miserable times as a Redskins fan. All three players were vital to the playoff runs in 2005 and 2007…especially Clinton Portis. I know there are a lot of fans that don’t look too highly on Portis, but for me, the way he carried the team down the playoff stretch will always be remembered. Not to mention the way he rose to the occasion after Sean Taylor was taken away from us…These guys are always going to be Redskins in my mind and am so happy that Cooley and Moss are a part of the 2012 NFC East Division Champions! Speaking of Sean Taylor…He was a phenomenal player, someone that created so many problems on the field for offenses and made some nasty hits on receivers…and punters. When he was murdered, i was completely shocked and felt like I had lost one of the potentially greatest players of our generation. Some idiots like Colin Cowherd and Michael Wilbon made light of his murder with callous comments suggesting he had it coming. Regardless of what you think of Sean Taylor, he would have been a great player for many years to come. I have been working for years to collect all of his base cards along with some jersey cards, probably staying away from the 1/1 cards though…too much for me. Last and definitely not the least of my goals. I would really like to get one, just one, on card autograph rookie card of Robert Griffin III. I’m only shooting for one right now due to the cost of the cards…crazy expensive right now and i can’t rationalize spending $500+ on any piece of cardboard right now. 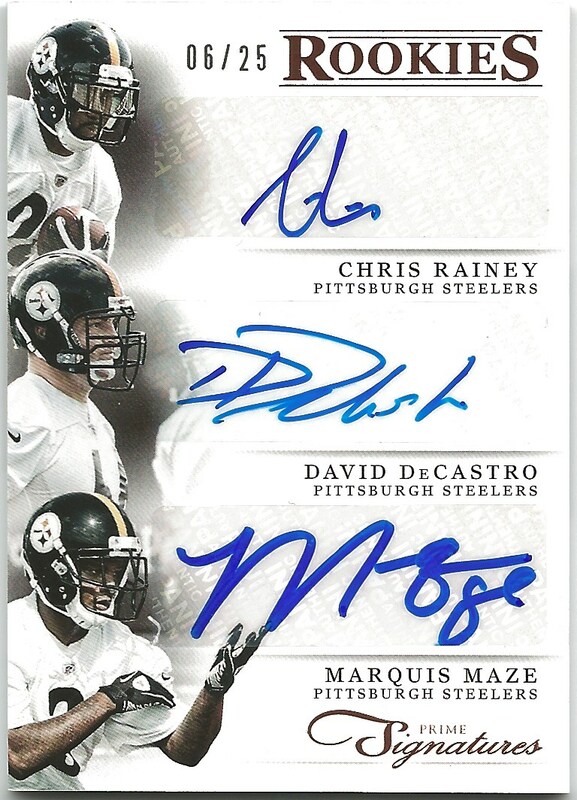 At the last card show i noticed the Leaf Signatures card…such a beauty…but going for $250. Kind of steep…but if it’s still around for the next show and i can convince myself that it’s an investment, i will pull the trigger! So there it is. My collecting goals for 2013. I think they are all attainable, it’s just finding the time to get everything together. One last note. I am not writer. I am a creative person by nature and career, but writing has never been something i feel overly confident in doing. You may notice run on sentences or incomplete thoughts along with the over usage of commas. Here’s hoping this blog corrects some of those issues. If you are reading this, please feel free to leave a comment or two so i know someone is out there! Good luck to you and your hobby goals for the coming year.